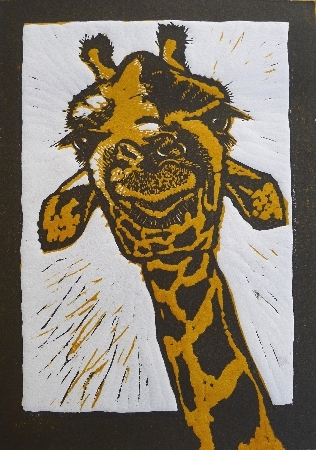 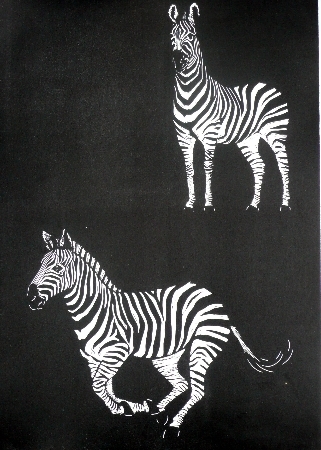 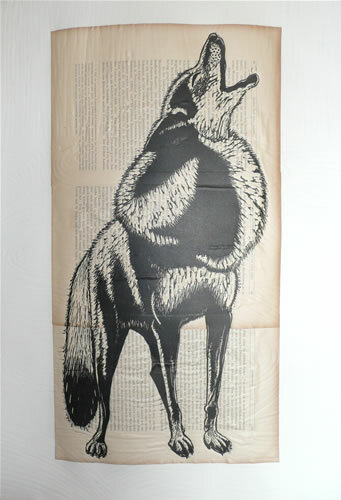 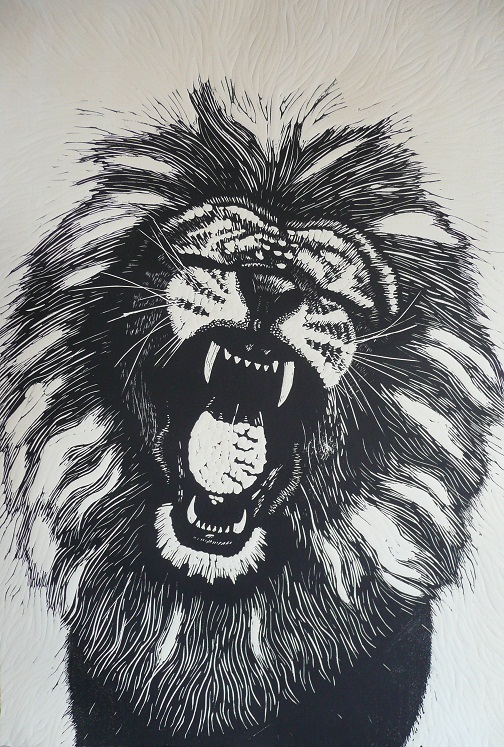 Some of the wild animal prints are made by cutting the plates of lino and printing one or two colours. 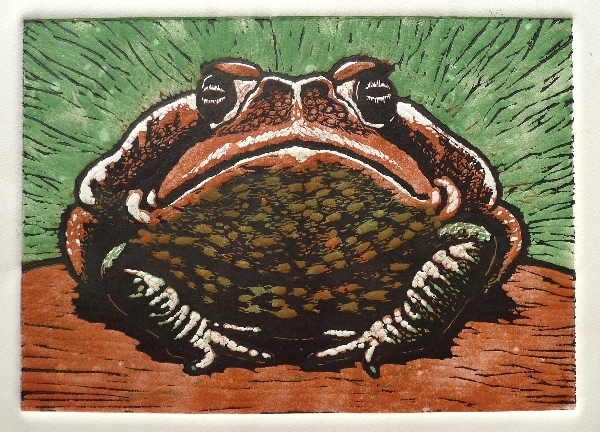 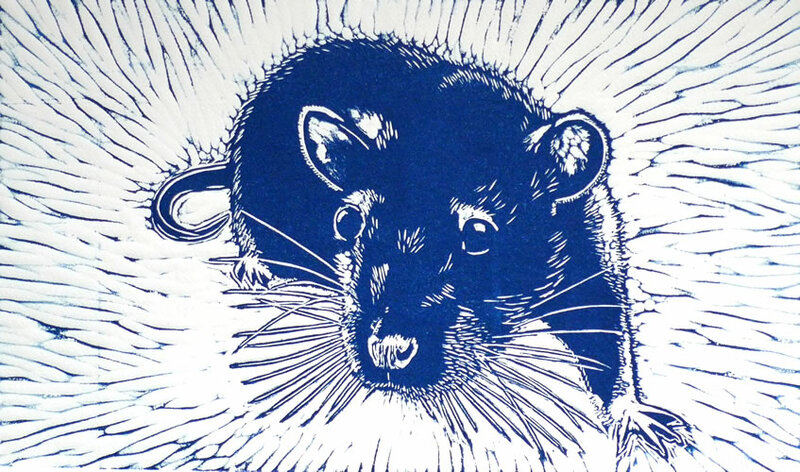 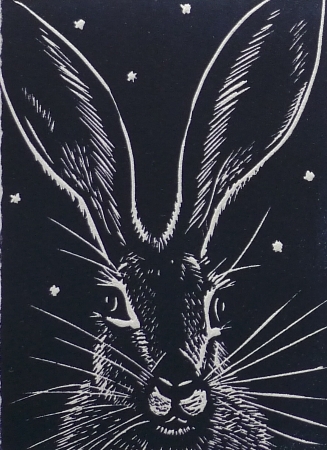 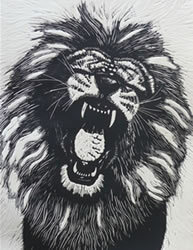 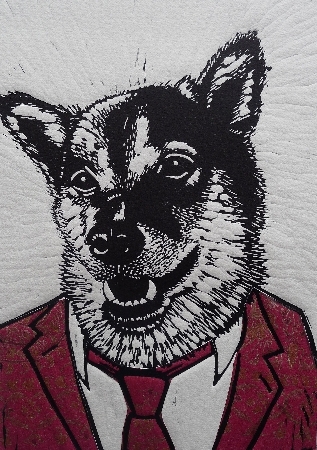 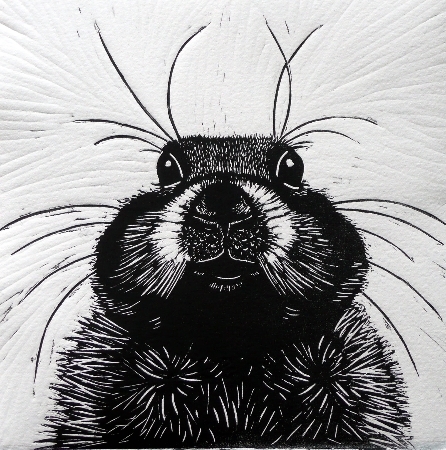 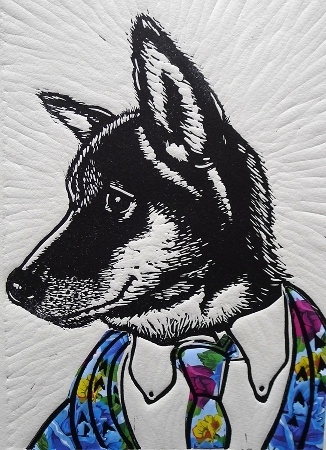 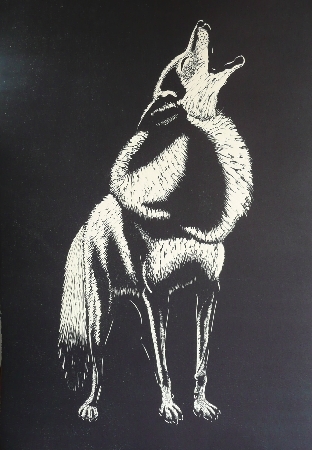 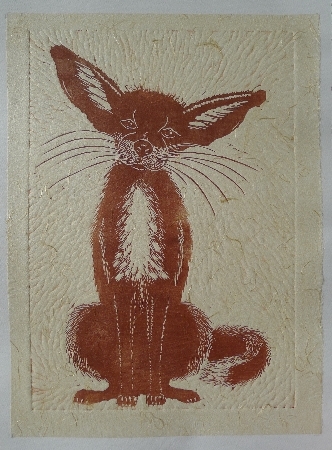 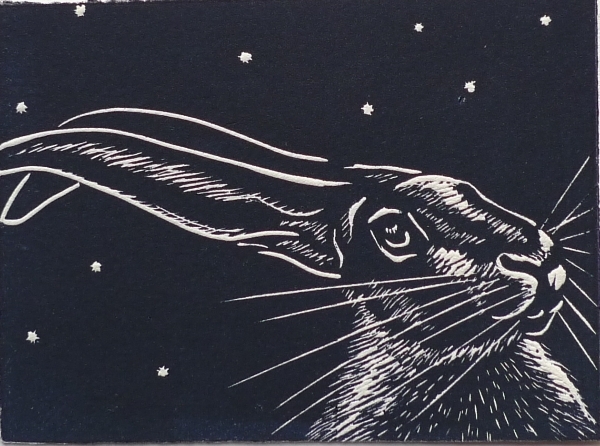 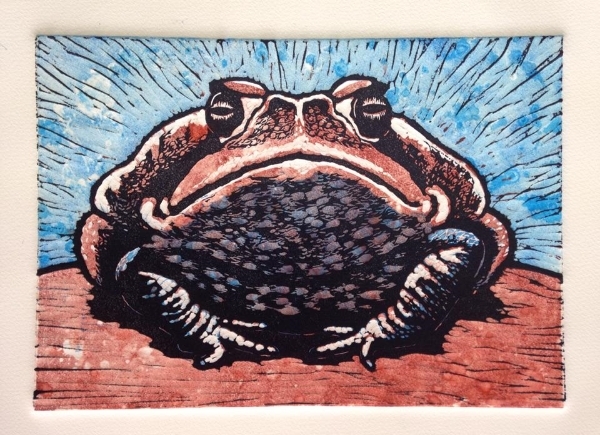 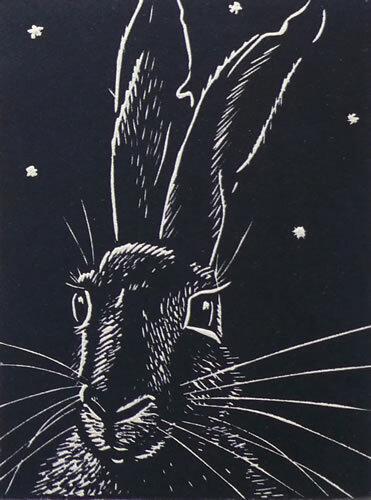 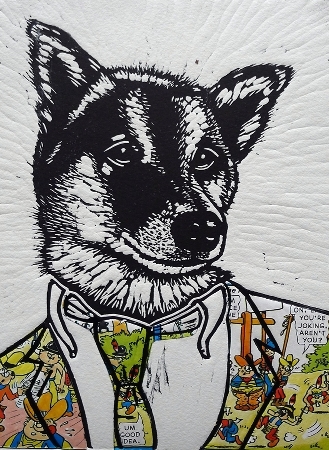 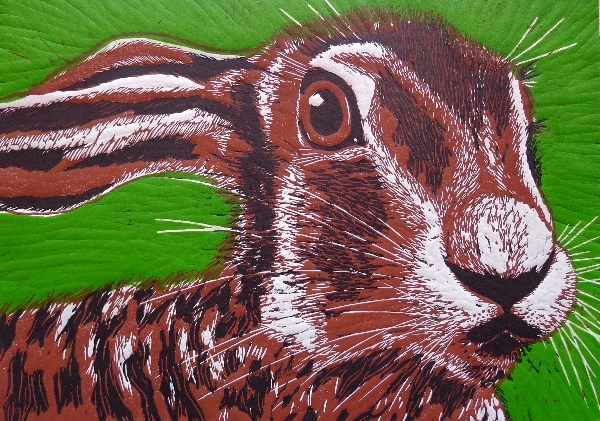 Other prints are made by etching the lino using caustic soda. 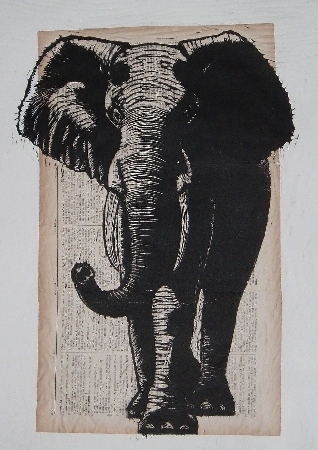 Often other material such as maps or wallpaper or antique book pages have been used in the prints in the chine colle style. 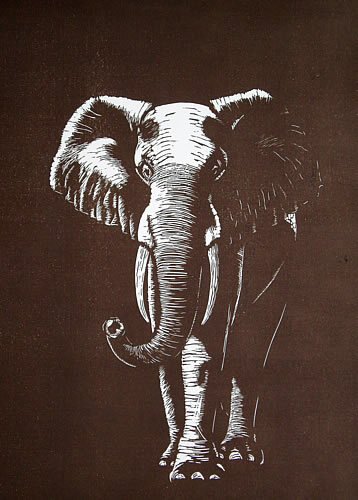 Click on a thumbnail below to see a larger version of the print – and then click on the image again to come back – or scroll through the images.